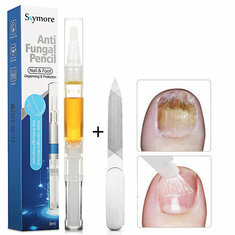 Nail fungus treatment can be difficult and unfortunately repeat infections are bound to happen. You can try over-the-counter creams but they really don’t work all that well. If you have other skin conditions, such as athletes foot, it’s important to address them as well while treating nail fungus. Keeping your feet clean and dry is the best way to prevent infections in your nails and skin. The most common nail fungus treatment is a prescription for an antifungal medication pill. Research how shown that Lamisil® (terbinafine) and Sporanox® (itraconazole) are the most effective antifungal medications for treating nail fungus infections. Oral medications are a great option if you have diabetes or have had a history of cellulitis. It’s also recommended you take an oral medication if your nail fungus is painful or causes discomfort. Antifungal nail polish, such as Penlac®, can help treat your nail fungus topically. You simply paint on the polish once a day to help control nail fungus at its source. Using Penlac® every day can help eliminate nail fungus completely and prevent it from coming back. Other topical medications might include prescription antifungal creams or ointments. These usually won’t cure a nail fungus infection alone and must be used with an oral medication. Penlac® Nail Lacquer has a approved by the FDA for the treatment of nail fungus infection and always need to ask your doctor for specific contraindications. Your doctor may give you the option of filing your nail down to help speed up the healing process. Less nail means less to cure. The top layer of your nail will typically contain the most fungus, so filing it off can help physically remove part of an infection. Topical treatments become much more effective when your nails have been filed. In extreme case of nail fungus infection, surgery may be the only treatment option. 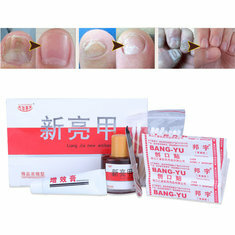 If nail fungus become painful your physician may suggest removing the nail completely. Fortunately, even if your nail is removed completely it can still grow back. This process can take up to a year. In the most severe cases the nail is removed and the nail bed has a nail fungus treatment known as ciclopirox applied to help prevent future infections. There are many options available if you’re looking for home remedies for nail fungus. Unfortunately, these remedies may or may NOT work depending on who you want to believe when researching alternative treatments. To make matters worse, nail fungus is a chronic condition. Even the most expensive anti-fungal drugs available from your doctor are not 100% effective. Some have estimated that even after spending hundreds of dollars, their nail fungus continues to return. The problem is that once the fungus is established, it’s much more likely to re-occur no matter what treatment alternatives you try. This is the problem with any remedy. Still, if there’s no absolute cure, why spend the hundreds and sometimes thousands of dollars for a treatment therapy where 2-3 out of 10 patients will not be cured? Another issue is that many insurance companies do not cover the expense of a nail fungus infection. For many, it’s considered cosmetic and as such not a covered expense. Below are additional resources in your research efforts to identify home remedies for nail fungus. 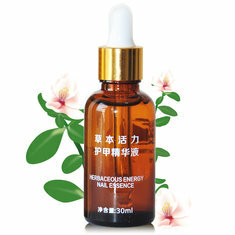 There are any number of remedies that are claimed by at least someone that it works. The problem is that for every person that says they have the cure, there are whole groups of people that did not have success. Remedies in this category include: cornmeal, talcum powder, chyanne pepper, and many who attempt to treat the nail fungus by changing the chemical makeup of their whole body. Other remedies such as those that use a bleach or vinegar soak to disinfect or change the Ph balance of the nail so the fungus infection doesn’t grow seem to have a much larger following. That is, these types of home remedies for nail fungus have been reported as working for many more people who have tried them.